Rev. 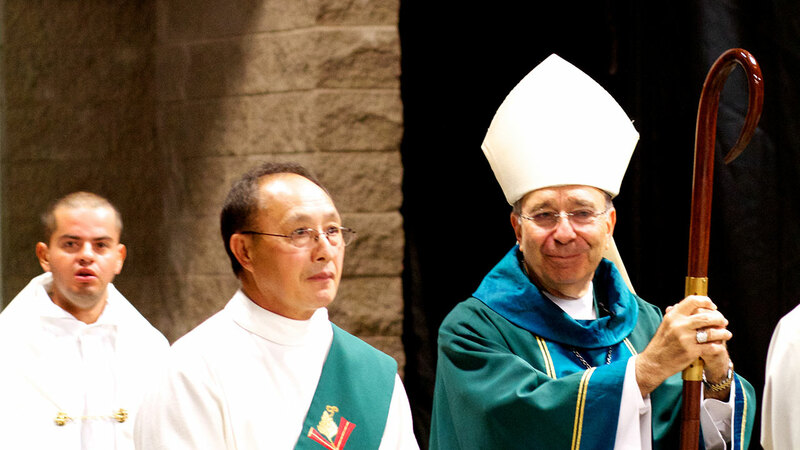 Armando X. Ochoa, Bishop, Diocese of Fresno, holding his wooden Crosier which is now missing. FRESNO, California (KFSN) -- The wooden Crosier and oil stock that was taken from Bishop Ochoa's car, while he was at a restaurant in Los Banos on Sunday, have been returned. A reporter with a television station in Fresno transported the items to St. Joseph's Church in Los Banos, according to the church. It was unclear how the reporter came to possess those items. Chancellor Teresa Dominguez said it was heart-warming to see young people do the right thing.